How to Track App Usage on iPhone And Limit Screen Time? Increased usage of social media platforms such as Facebook, Whatsapp, Twitter, etc., has made us a slave of mobile phones. 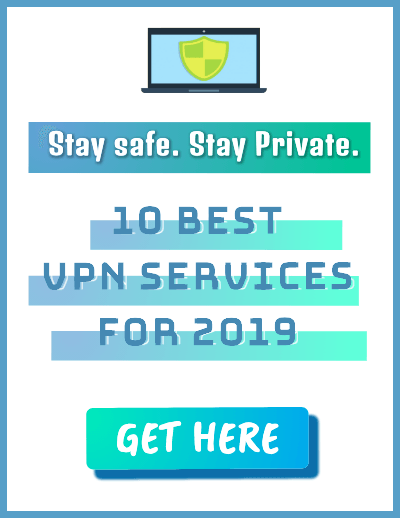 According to eMarketer, a leading market research organization, it has been found that average time spent per day with mobile internet by a US-based mobile user amounts to 4 hours 16 minutes. The figure is astonishing and frightening at the same time for both iPhone and Android users. Mobile phones were invented to connect people and not to glue them to the screen. This proliferated usage has defeated the whole purpose of the invention. 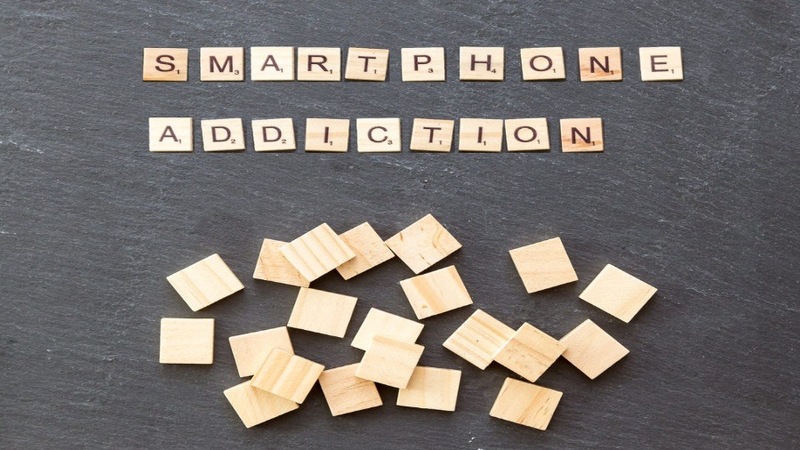 If you think that you are going through the situation where your iPhone has become addictive for you, then you can track app usage to get an idea of the time you are spending on each app. For iOS users, there is a sneaky little app usage tracker feature which allows them to see the actual time you have spent on each app. The feature is provided at a place where it is totally unexpected. 1. To use this feature, open ‘Settings’ and go to ‘Battery’ option. 2. 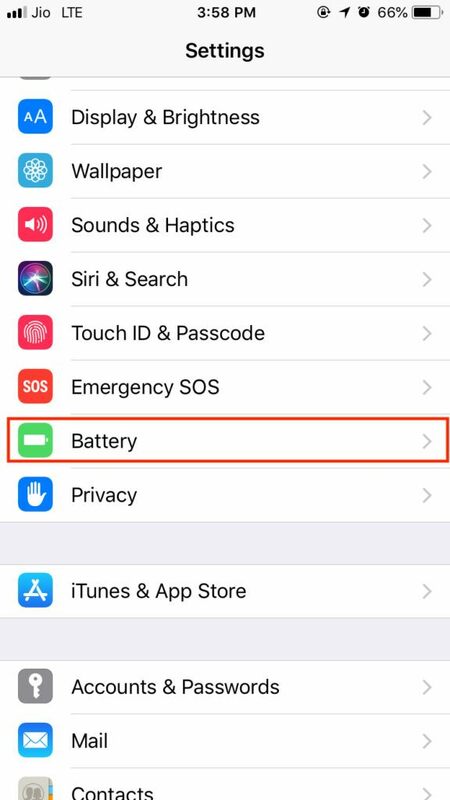 Scroll down to ‘Battery Usage by app’ section; here you will see the percentage of battery consumed by each application installed on your iPhone. 3. Now tap the application for which you want to track app usage time. 4. You will see the on-screen time as well as background running time for the app. 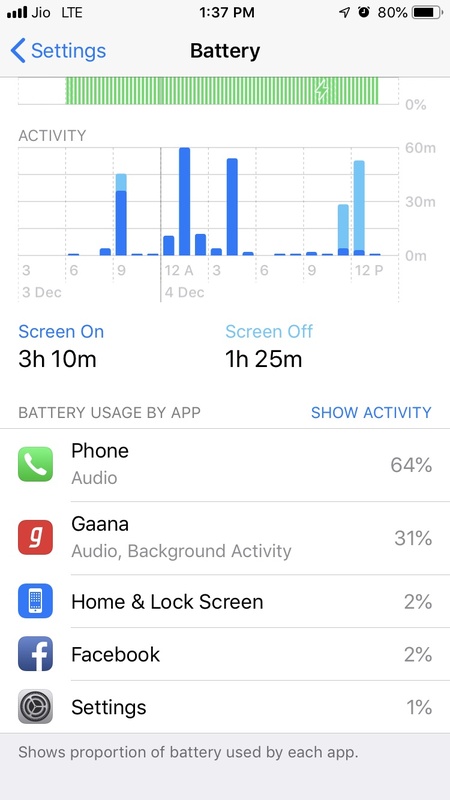 For example, in the screenshot given below, ‘Gaana’ app has the screen-on time of 3 minutes and background activity of 1 hour 30 minutes. Here, on-screen time refers to the time for which app was running in the foreground and time indicated against ‘background’ is the time for which app was running in the background when your phone was locked or you were using any other app. Some apps like ‘Maps’ can have greater ‘background’ usage time as they are continuously running in the background to perform some specific tasks. How To Check App Usage on iPhone And Limit Screen Time? With the above-explained iPhone usage tracker feature, you can keep a track of the apps on which you are spending your maximum time. 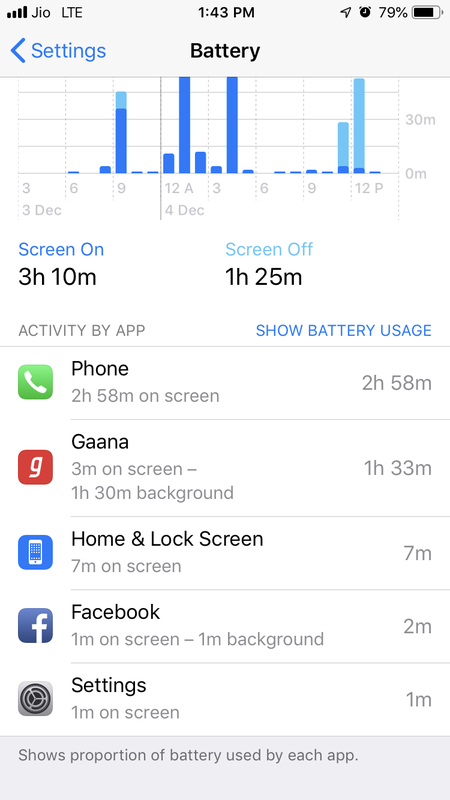 In addition to this method, Apple has also added a new Screen Time feature in iOS 12 that allows you to view detailed data of iPhone app usage. 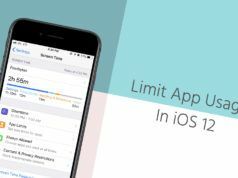 With this feature, not only you can view app usage time but also set limits for apps. You can set daily limits for app categories. Apple does not allow you to set app limits for individual apps as of now but we can expect the iPhone maker to roll out the feature soon. This iPhone app usage tracker feature can be helpful to get rid of the habit of picking up the phone after every minute. Also, this feature to track app usage can be used to limit the phone usage of your kids. Besides, there many third-party iPhone usage apps out there that can be downloaded to calculate the time you are spending on your phone. By tracking this parameter, you can easily get a clearer picture of your iPhone addiction and take steps to curb the same. How much time are you using on your favorite social networking and messaging apps? 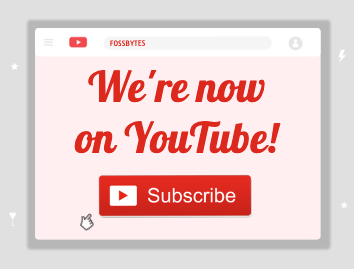 Do let us know in the comments section below and keep reading Fossbytes. 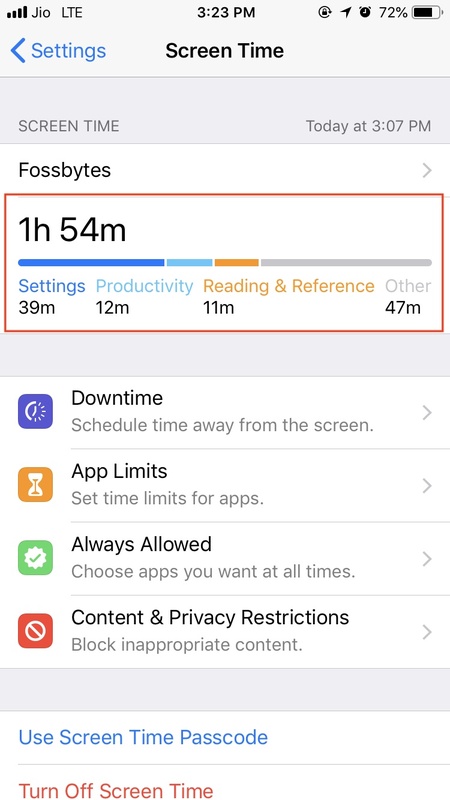 How to Use Screen Time Feature in iOS 12 and Limit App Usage in iPhone?